Serving Chicagoland’s homeowners, home builders, designers and architects with superior craftsmanship and customer service for more than 20 years. They accomplish this in part by utilizing two Proliners CS with Stone CT for digital templating and by understanding the importance of investing in employee training. 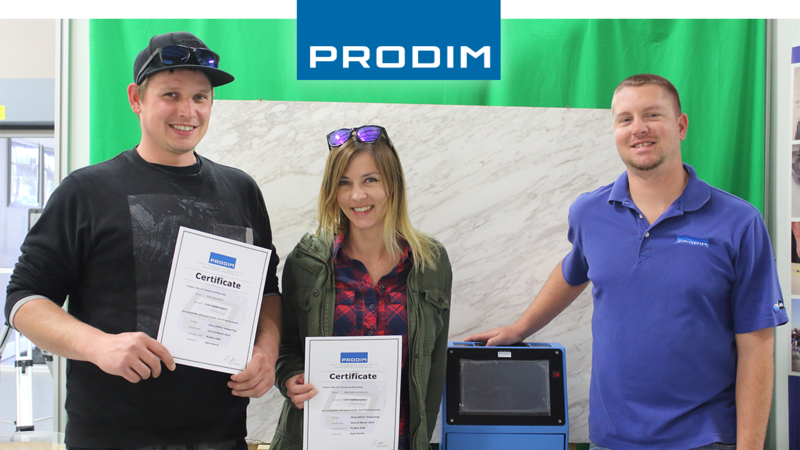 Piotr Abucewicz and Agnieszka Koralewicz recently came to Prodim USA for Proliner Training. Piotr has been with Euro Marble Supply, but was previously involved in the installation area and Agnieszka is new to the company.